Buck’s teeth are one of the major problems that arise due to disturbed positioning of teeth. You may not even think about it but the position of the upper and lower teeth in relation to each other is very crucial. 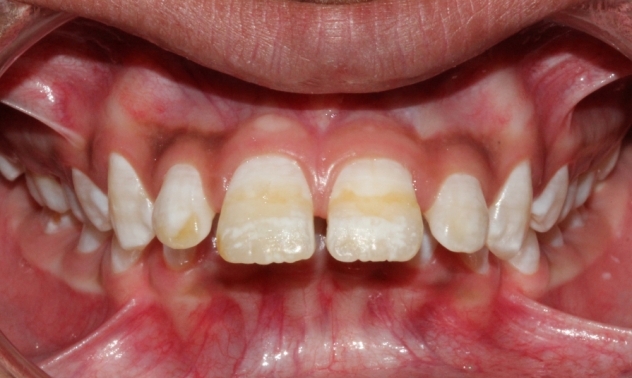 In a normal condition, the upper teeth overlap the lower teeth vertically as well as horizontally. When the normal overlap is more than 2 mm it is called buck teeth, or sometimes rabbit teeth or mice teeth. The term “Buck Teeth” refers to teeth that are too far forward. The technical name for “buck teeth” is a Class 2 division 1 malocclusion and it is one of the more common orthodontic problems. There may be different cases and situations of Buckteeth condition. Like if the buckteeth and the upper jaw bone usually moved forward together, in such case, the spaces between the teeth get larger. But spaces are not necessary in each Buck Teeth case. As a treatment of this medical condition, usually instant braces are recommended. Braces can align the teeth in the proper way so that the overbite and the teeth can be fixed. Causes behind this medical condition can be different. The most apparent reason for it is a different habit like thumb sucking or prolonged use of pacifiers. They may also be hereditary. If the parents have buck teeth then the children may have them also. So in other words, there can be an interplay of both genetic factors and environmental causes that lead to this arrangement of the teeth. Buck teeth can cause children to lose self-esteem because of the way they look. Also, the child may not be able to close their mouth properly that can lead to further complications, so it is considered best to treat it. 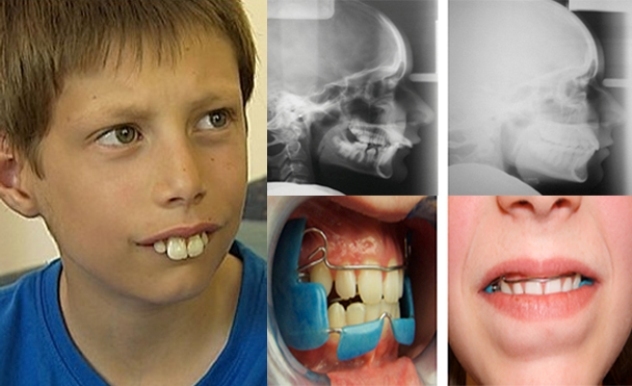 Buck teeth are most always treated with braces if there isn’t any other underlying problem. If your child has thumb sucking habits after the age of around four years, it can play a critical role in the development of the Class 2 malocclusion. Thumb sucking is considered the most prominent reason that makes children get buck teeth. Overbite is the most common type of Buck’s teeth. 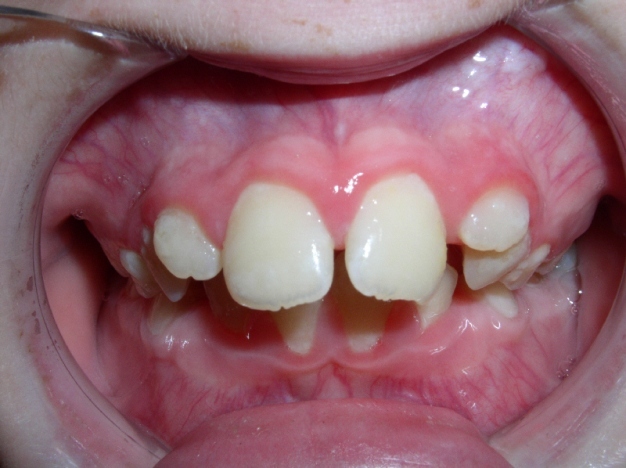 It belongs to teeth misalignment where front teeth (usually the upper ones) protrude over the others. If this condition is not treated timely, it can lead to further complications like children with buck teeth are at a higher risk of suffering damage to the upper teeth from trauma. Children are more likely to suffer psychological issues as a result of their appearance. Persons with buck teeth complain about difficulty while chewing. It is because the upper and lower teeth do not touch each other. In addition, it also affects breathing especially in the case of large deformation. Since the patients are not able to close their mouth completely, as a result they develop a habit of mouth breathing. This is caused by strain on their jaws. This can trigger asthma and other health problems. In other words, buck teeth cause problems on chewing, breathing, and fractured teeth. In some cases, it also deals with the aesthetic problem. Here are some picture of Buck teeth. Although sometimes Buck teeth may look cute also but its rare. Your kid feels really bad if his friends are making fun of him. In this picture, you can see also how buck teeth look from inside. It is the most common and effective method of treatment. This dental procedure starts by attaching brackets and bands into the teeth fastened with wires. 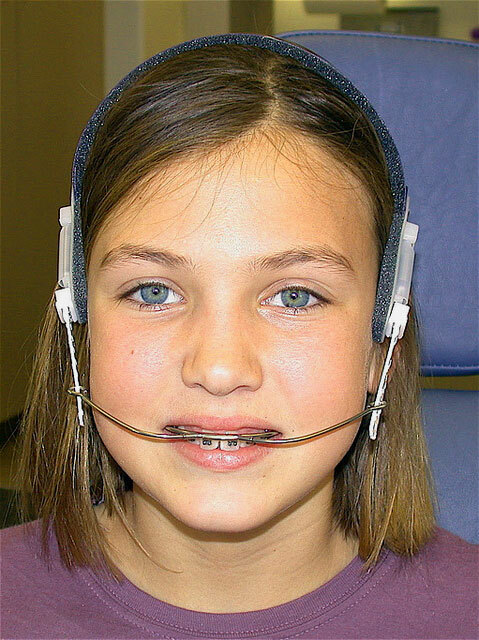 Braces work by moving the misaligned teeth into the straight position right above the jaw line. The only drawback of this way of treatment is the time taken by it. Another possible treatment suggested by a dentist, now a day is Invisalign. Sometimes, wearing braces is just not an option, so Invisalign is the alternative to braces. It uses aligners made of clear plastic that can be removed. They work by putting the teeth into straight line. Nowadays, it’s most popular due to less pain and less force involved. If your problem is severe like prominent teeth are caused by a protruding jaw, then your dentist will recommend surgical treatment. It reverses buck teeth faster than other treatment. The surgery is called a maxilla-facial surgeon.